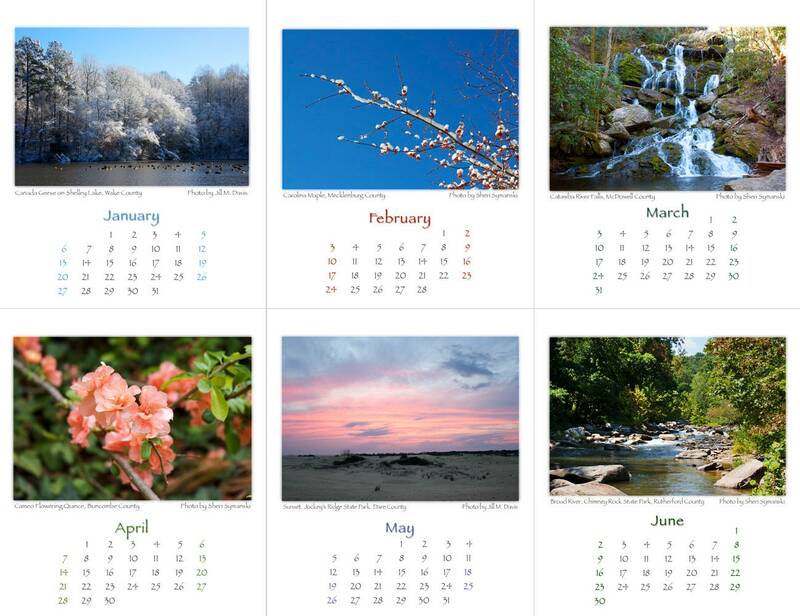 Our North Carolina Seasons calendar celebrates the natural beauty of the Tar Heel State with photography of stunning sites from the Blue Ridge Mountains, to the Piedmont, to the Outer Banks. 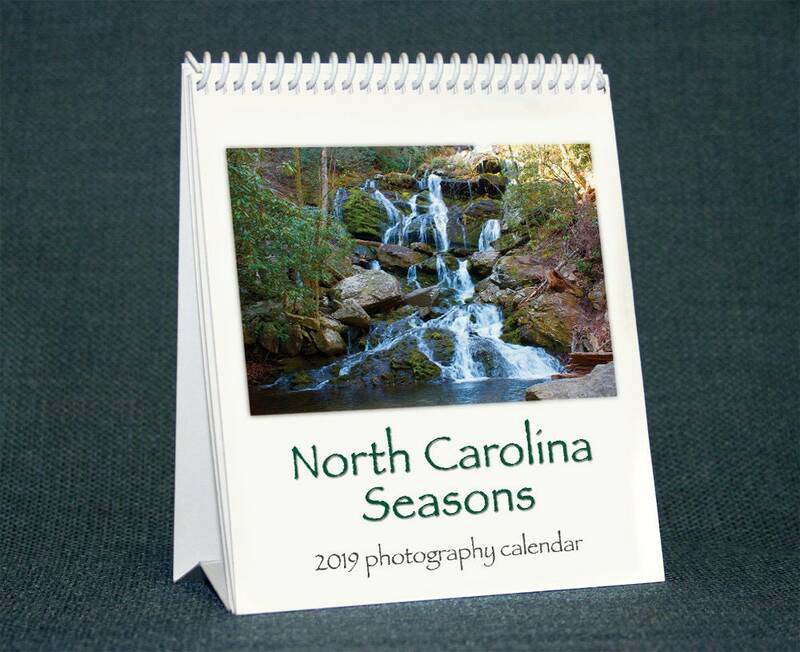 It's a terrific gift for everyone who loves North Carolina or for someone who just appreciates nature photography, no matter where they live! Our handy desk calendar stands on its own with a built-in support of heavy scored cardstock and flexible spiral binding. 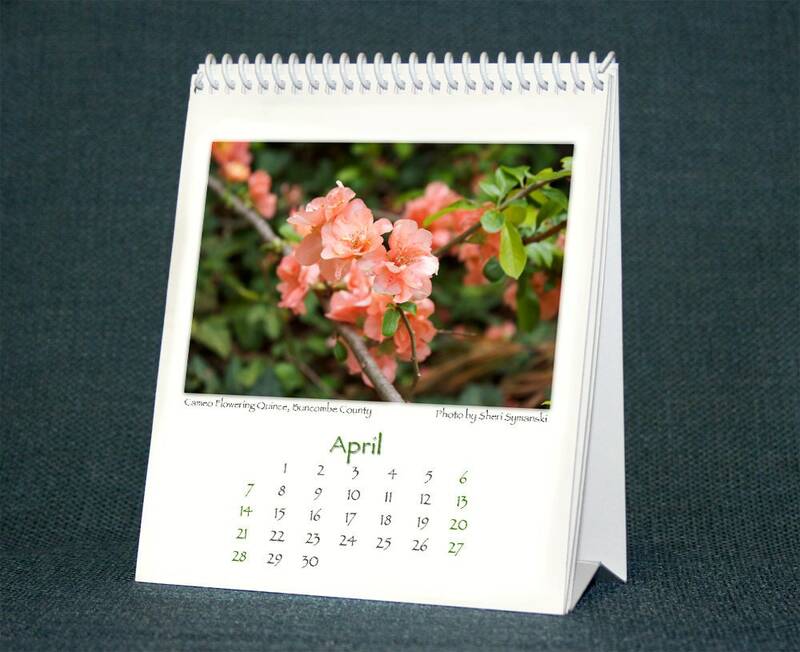 The calendar is printed double-sided on high quality environmentally friendly paper. Calendar page size is 4.75 x 5.5 inches, and when standing, sits 3 inches deep. "Love the calendars. I have one right in front of my computer at home. It is so handy, and I like the size." 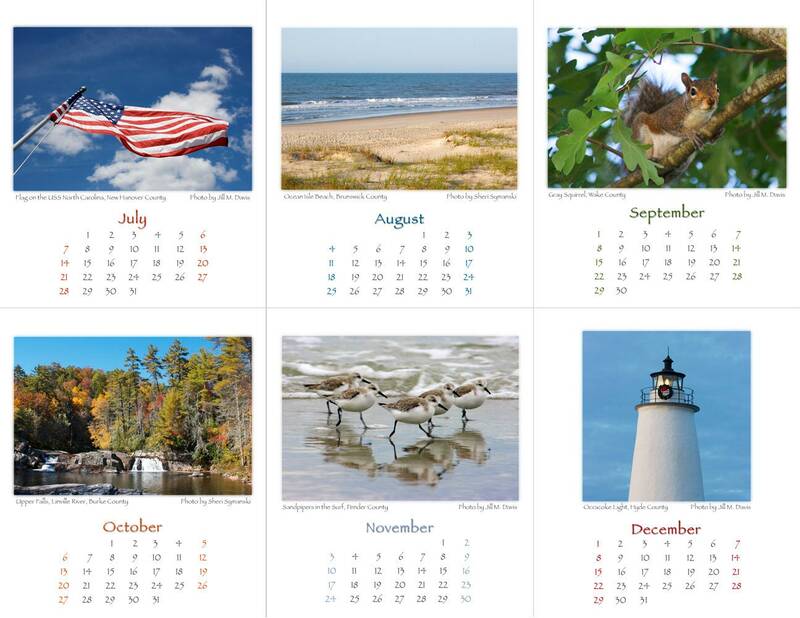 "I love the calendars, and they have made great gifts." "It was a perfect stocking stuffer and a nice surprise when we gave it last year, and she'll love the update this year."